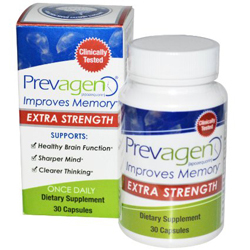 Prevagen is a supplement to help improve your memory. It claims it can be beneficial for healthy brain functions, sharper mind and clearer thinking. It contains a specific protein Apoaequorin, found in jelly fish called Aequorea victoria which is required for our brains for healthy brain functions. In its clinical trials it claims it has shown to help mild memory problems associated with aging. With your help we can reach more people and let them know about Prevagen whether this product works or not.